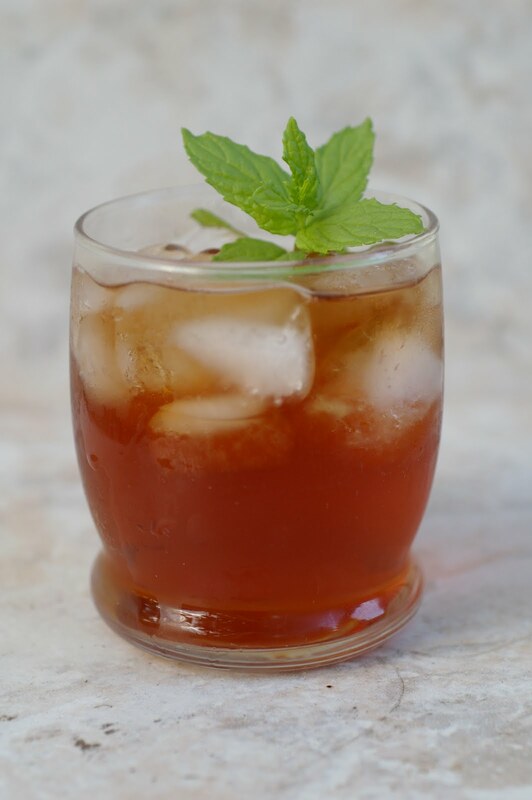 I honestly meant to make this post before the Kentucky Derby.I procrastinated like I often do.I really do think that mint julep iced tea proves that mint and Bourbon make perfect glass mates.Iced tea is so popular in Virginia that it practically runs out of the faucet, and the best way to brew the classic is as debatable as whether to sprinkle potato salad with paprikaSo why stick with the classic? Why not put a little spin on it. Change it up a bit.The bonus with this Mint Julep is that it does not require an afternoon nap as a chaser. To serve pour the tea into a 2 quart pitcher, add the bourbon and stir. Add the ice and a few bruised mint leaves. 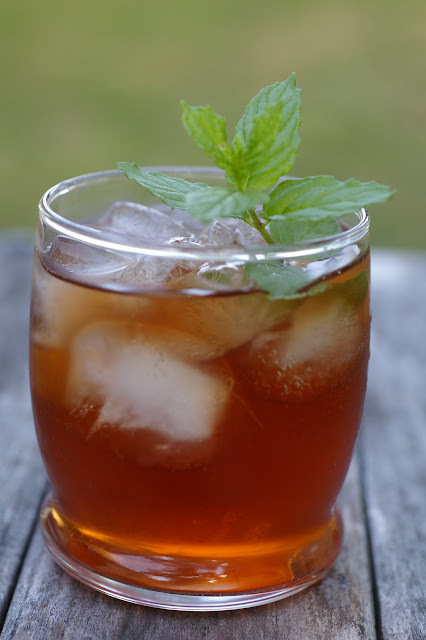 Pour into iced-filled glasses and garnish with mint. Store uncovered in the refrigerator.